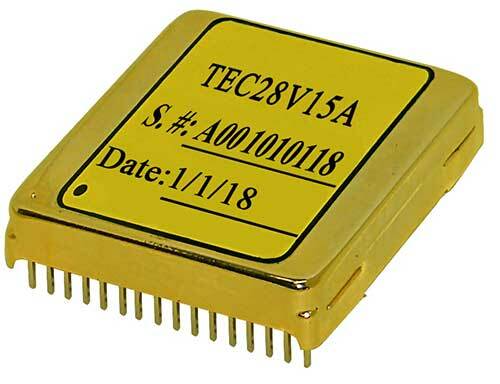 The controller TEC28V15A allows setting the set-point temperature, maximum output voltage magnitude, and the maximum output current magnitude respectively. These three settings are the input parameters for the three control loops: constant temperature, constant current, and constant voltage. Before hitting the maximum output voltage magnitude or the maximum output current magnitude, the temperature loop is in control. When hitting the maximum output voltage magnitude, either outputting a positive or negative value across the TEC, the voltage loop takes over the control, the controller will be outputting a constant voltage to the TEC.